There is a posture in my yoga classes that founder Bikram Choudury claims, if the posture is held correctly for 30 seconds, is as good for the body as 8 hours of sleep. How can this be? I don’t have the slightest clue, and neither do the yoga instructors, most of whom repeat the line skeptically. Other instructors are more forceful; perhaps they hope their conviction will convince you. I do the postures in a brain haze, in a room that is warmed to over 100 degrees, and trust my body will understand what to do next. In essence, this is the “spiritual” aspect for me. For others, class begins with prayer on their yoga mats and headstands at the end. The environment is pseudo-religious, communal certainly, and with vague descriptions of a group energy that pervades the room, pushes us, the students, on to the goal of balance—both physical and spiritual. 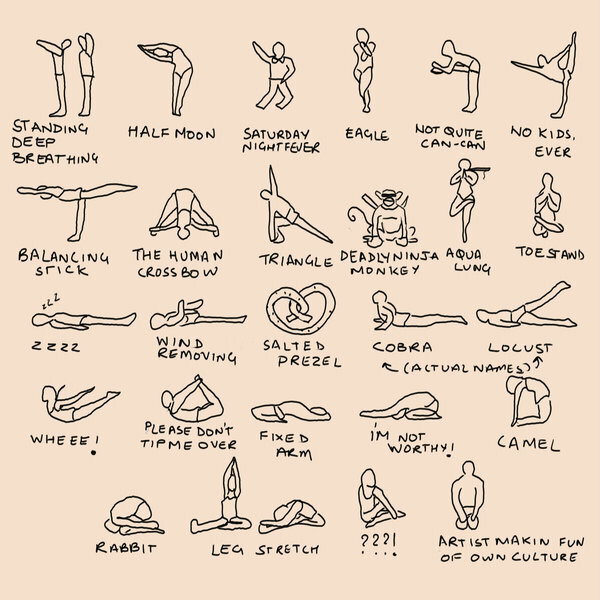 As a (sometimes unforgiving) skeptic, I feel like an outsider to the spiritual goings-on of yoga’s jargon. But, like most spiritual communities, the other students are not perturbed by skeptics, can even have a subtle condescension to their total belief in all of the soul-benefits of yoga. And there is no reason to blame them. Attending yoga, however painful the class is, is like a lull in the surge of the mind’s many stresses. 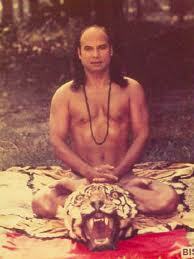 Though the skepticism for Bikram’s Yoga could start with Bikram himself, if one wanted to find a patsy. The man, according to some instructors, is talking about starting his own reality show, much to their chagrin. He has, no doubt, made millions of dollars and now lives (I believe) somewhere in Southern California with an 80-year-old woman who, instructors say, is more lively and ready to practice yoga than Bikram. Again this is just speculation. And anyhow it works for me so I pack up my mat every other day, go to class, lay it down in front of the large mirror and start each class Savasana, or dead body pose, staring at the ceiling, hands at my side. The room feels like Florida and pretty soon the floor radiates heat. The instructor calmly takes the stage and talks into a microphone headset to 25 or so students. We follow diligently his or her instructions to keep our legs as “straight as a lamppost” or to open our chest “like a flower pedal blooming” (it’s the same collection of metaphors no matter who the instructor is). Eventually the heat gets to the class. We drop like flies from our poses to lie down, get water (which only swishes around in our stomachs sickeningly), and sweat more than humanly thought possible. And that’s just the first half of our 90-minute class, the standing section. The last 45 minutes are spent entirely on the floor and by the end we are completely used up. I’m so out of it, I usually consent to say “Namaste” with the rest of the class because only my body exists and time is only kept by the beating of my heart and even then each moment is separate and whole and timeless. The class has just been one long hallucination. This entry was posted in The Word and tagged Bikram, Bikram Yoga, exercise, Florida, religion, Spiritual, stress-reducing, Yoga. Bookmark the permalink.